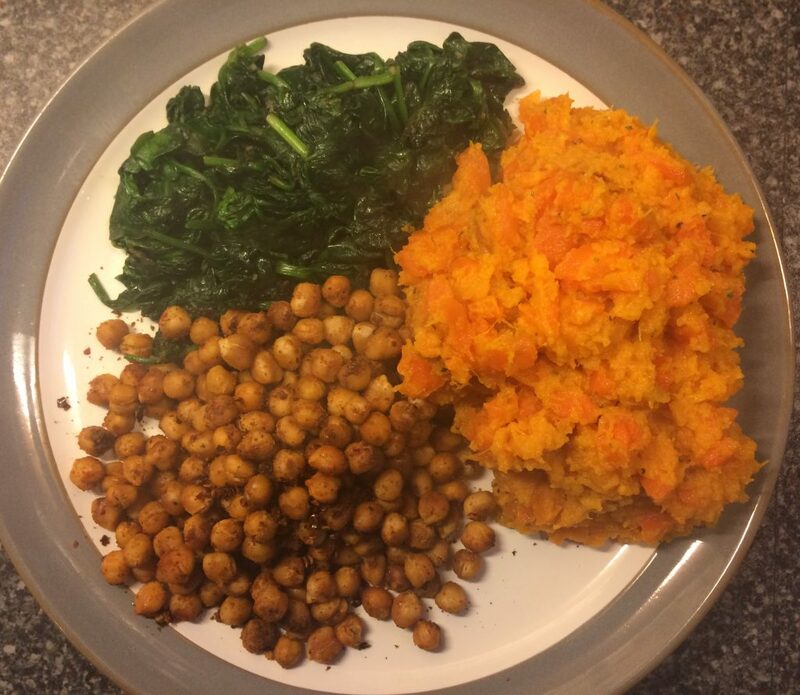 The Sweet Potato & Carrot Mash with Chickpeas and Spinach dish seems so simple it could be overlooked, but this comforting tasty meal is definitely worth a try! 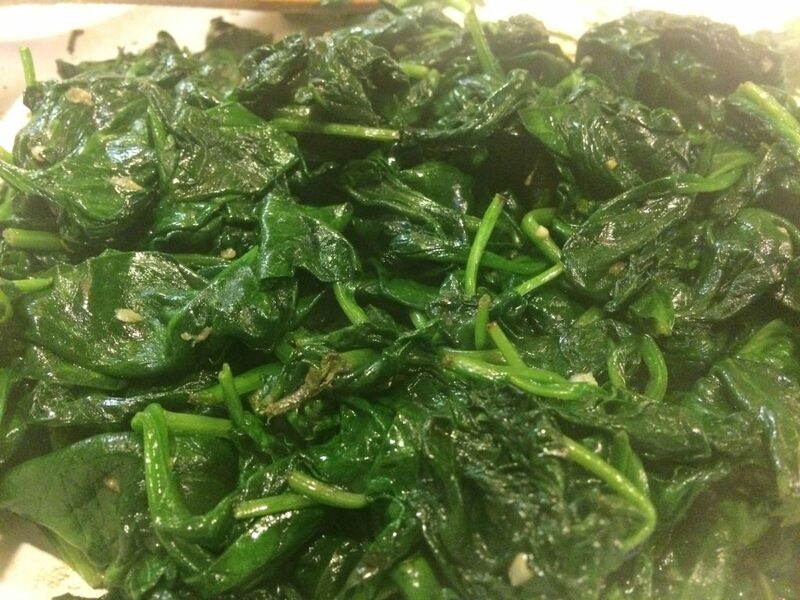 The garlic spinach gives it the extra flavour it needs – put it all together and it’s a taste sensation. You’ll need to spend about 55 minutes in the kitchen for this one. Before you start any of the prep, pre heat the oven to 200C. 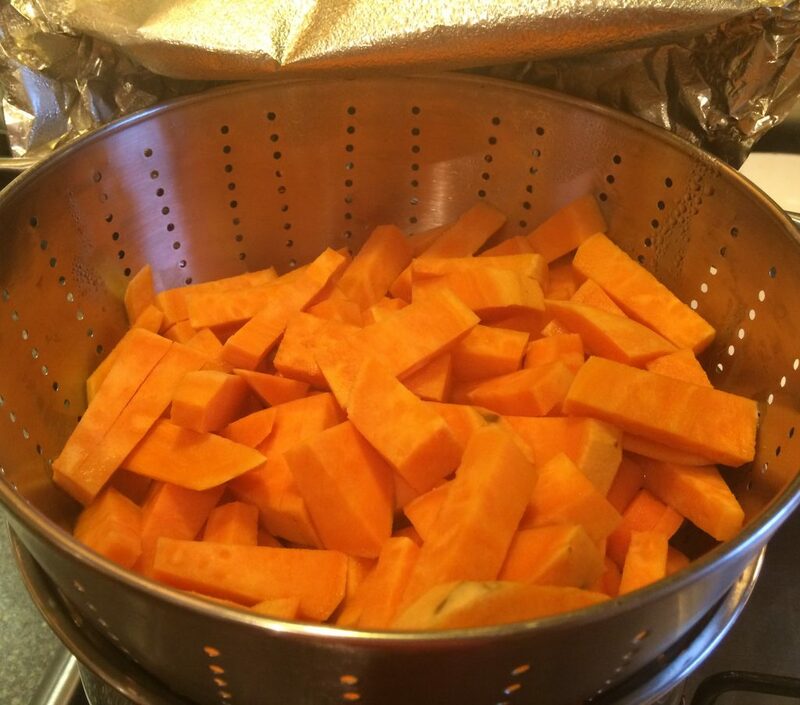 Peel and cut the sweet potato and carrots into fairly small chunks. Then steam them for 50 minutes. During this time, drain and rinse the chickpeas. Put them on a baking tray, and sprinkle the ground cumin, chilli flakes and paprika on top. Season with some salt and pepper and a splash of olive oil. Then mix them together so nicely coated. 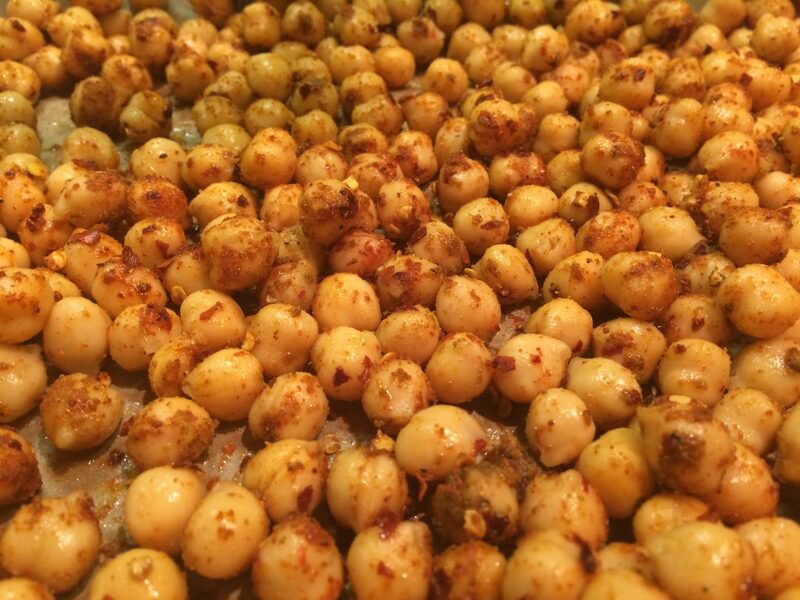 Put the chickpeas in the oven for 40 mins, until they’re crunchy. When the sweet potato and carrots chunks are soft, give them a good mash together with the olive oil, mixed herbs, and some salt and pepper. To finish off the dish, we just need to garlic the spinach. Heat up a dash of olive oil in a frying pan, and add the crushed garlic with a little salt. Allow this to heat for a couple of minutes then add the spinach. Cook it until it wilts and is soft, this should take just a few minutes. Remove from the pan, and serve on a plate with the sweet potato and carrot mash and seasoned chickpeas.